Born in Newmarket, Ontario, Canada in 1962, Carrey found his calling at an early age, performing in front of classmates in elementary school -- and making them laugh. At age 15 he began performing at Yuk Yuk's, a famous Toronto comedy club, and continued performing in clubs all over Canada until age 19, when he packed his bags and moved to Los Angeles. Soon after becoming a regular at Mitzi Shore's Comedy Store, he was put on tour by comedian Rodney Dangerfield, who had caught his act and was impressed by the young talent. Carrey's big screen debut came with 1984's Finders Keepers, but hedidn't have a big success until 1994's Ace Ventura: Pet Detective. 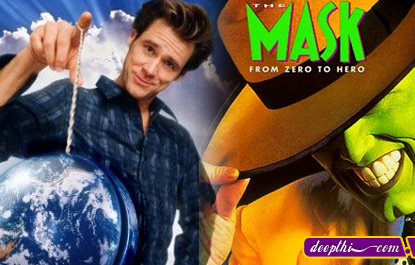 Fromthere, Carrey's expressive face, expert mimicry skills, and physical brandof comedy kept the hits coming. He followed with The Mask (1994), Dumb andDumber (1994), Ace Ventura: When Nature Calls (1995), Batman Forever (1995),The CableGuy(1996), and Liar Liar (1997). Carrey took a successful dramatic turn as Truman Burbank in Peter Weir's The Truman Show (1998), for which he won a Golden Globe award for Best Actor. He teamed up with legendary director Milos Forman for the Andy Kaufman biopic Man on the Moon (1999), co-starring Courtney Love; for his dead-on portrayal of Kaufman, Carrey took home a second straight Golden Globe. Despite his Golden Globe success, Carrey has never been nominated for an Academy Award, perhaps due to the Academy�s traditional lack of recognition for comedic actors. Carrey has become one of the highest-paid actors in Hollywood, with an reported asking price of $20 million.